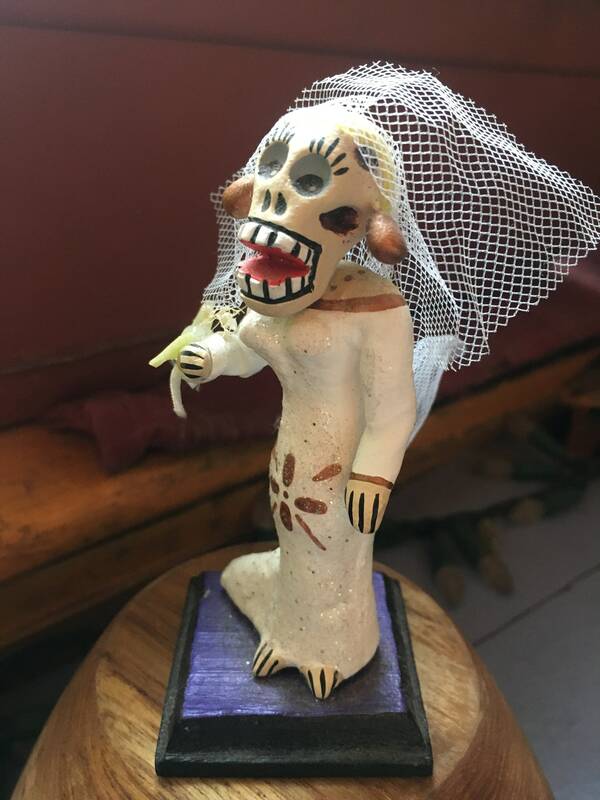 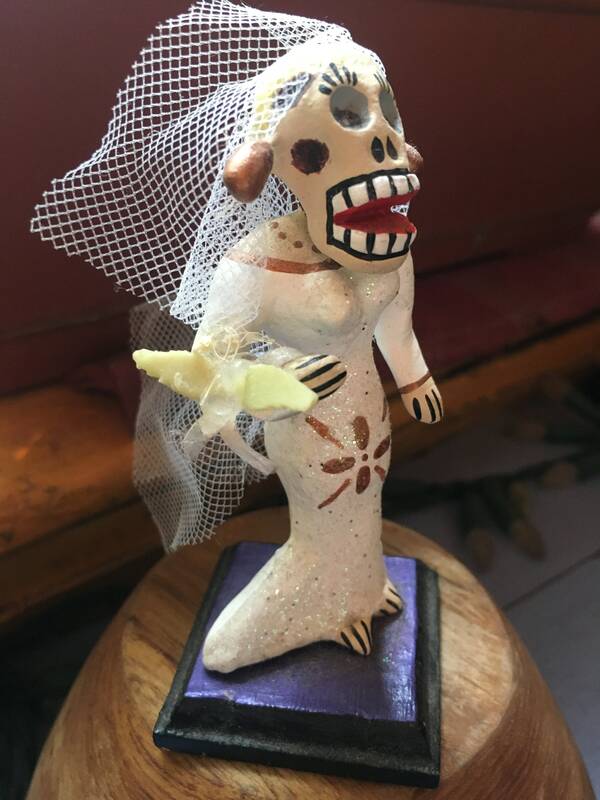 This Mexican bride ceramic day of the dead figurine was made in Oaxaca and stands approximately 3.5" tall on a wood base. 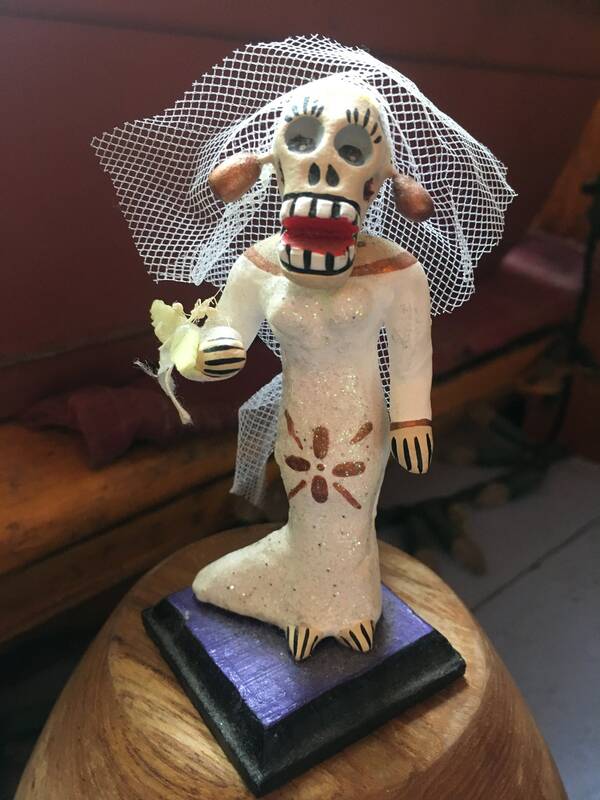 Incredible detail and expression. 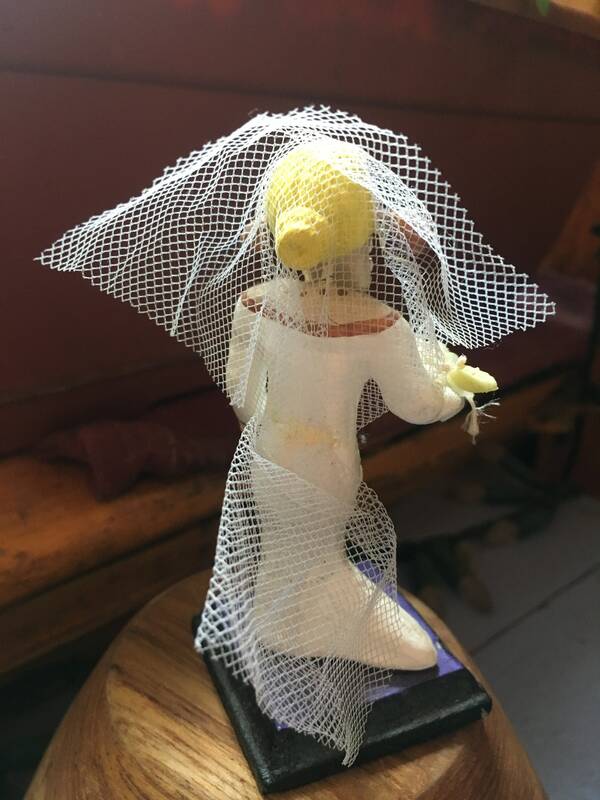 A perfect gift for the bridezilla in your life.